Two days ago local Redditor, anniemaxine, posted a picture of a pig wandering freely in Gallup Park. 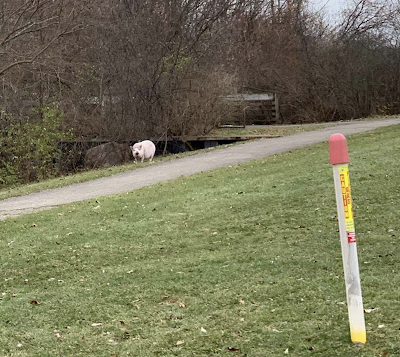 If you are missing a pig, it may still be in the park. Watch it, more articles like this and we'll have a pork chop Cull. Don't feed the trolls!